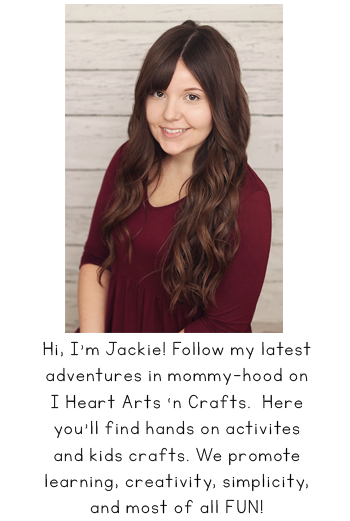 Today I’m teaming up with some very talented ladies for our first craft challenge of the year. This month’s craft challenge was to create an insect from recycled materials. And because I never throw away anything, I happened to have some old scratched DVD’s in my craft room just waiting to be used for the perfect craft. 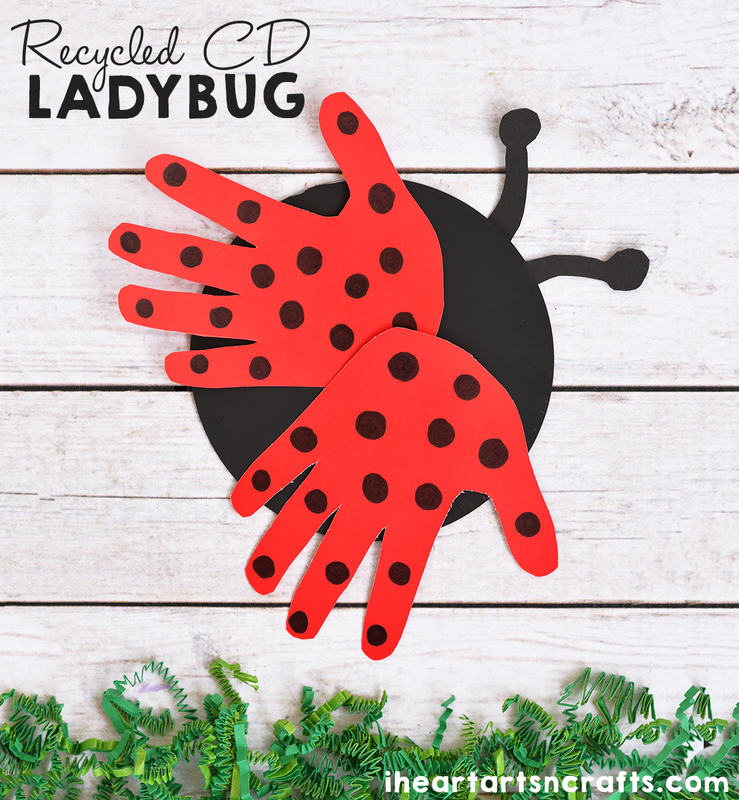 We decided to use our DVD’s to make these handprint ladybugs that make the perfect Spring craft for kids! 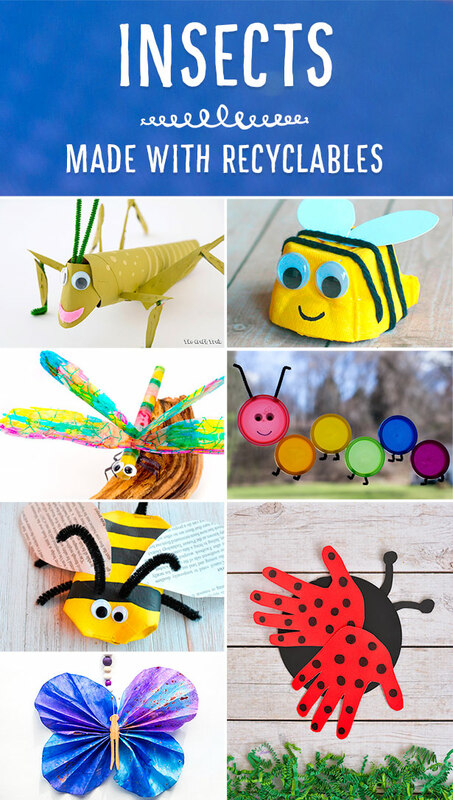 Be sure to check out some of the other creative Recycled Insect Crafts at the end of this post! 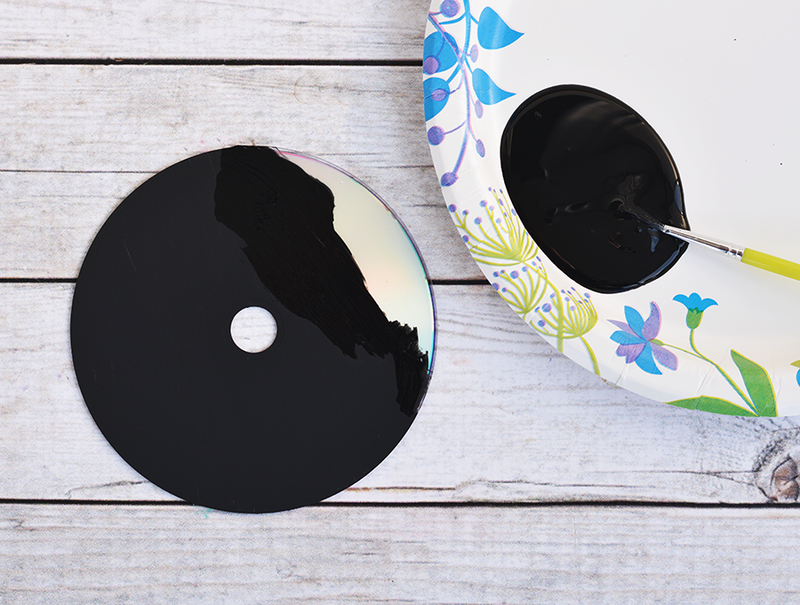 Grab your old CD or DVD that you’ll be recycling for this project and you can either paint it black or cut out a black circle by tracing the CD and cutting that out, then gluing it onto your disc. 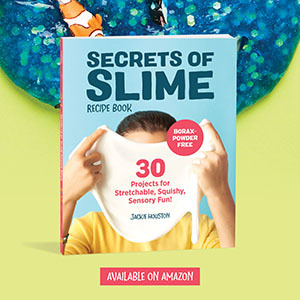 Next grab some red construction paper and you’ll have your child trace out their handprints onto the paper and then cut them out. 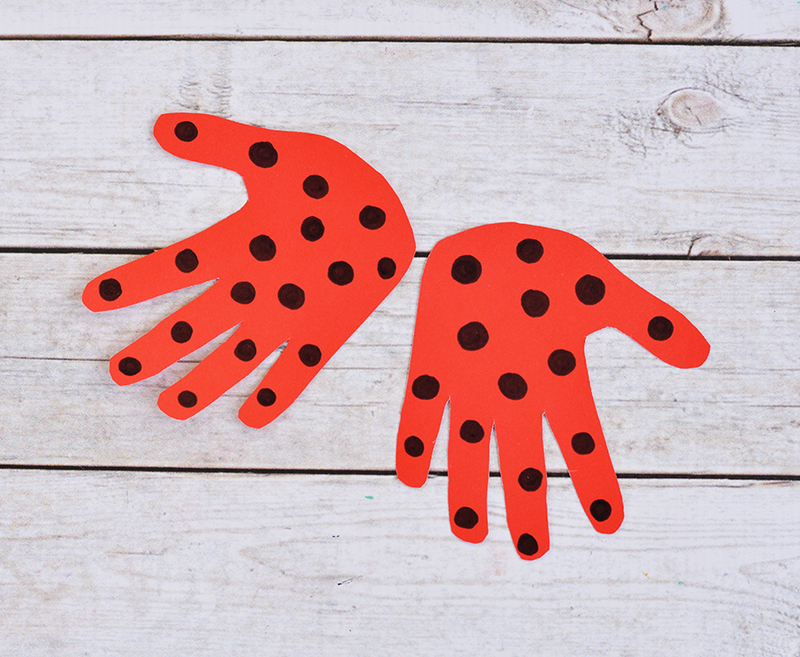 These are going to be your ladybug’s wings so you’ll want to take a black marker for the next step and color in some black circles. 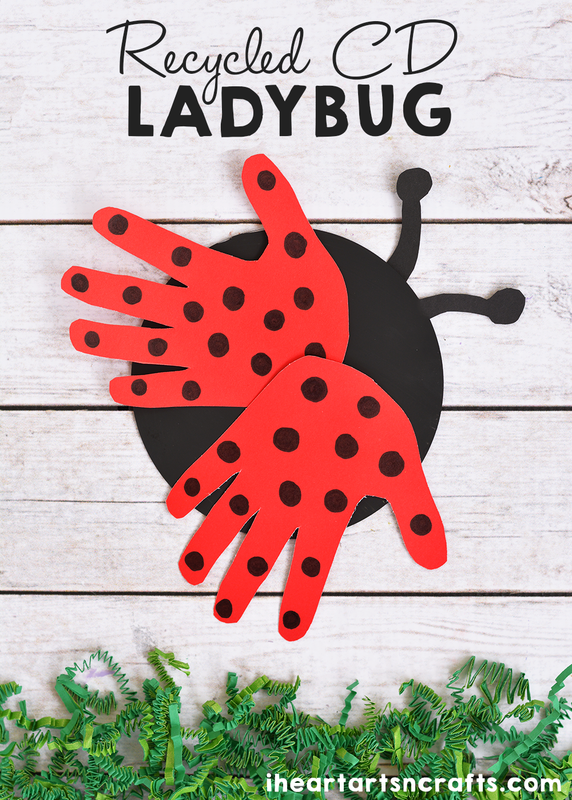 Then finish off your Handprint Ladybug by cutting out some black antennas and gluing those and your handprints onto your painted disc.